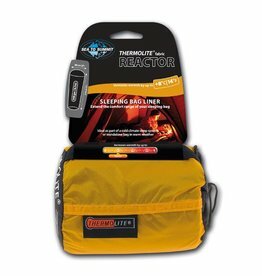 The Thermolite® Reactor increases sleeping bag performance by up to 8°C with 80g/m² Thermolite® fabric. 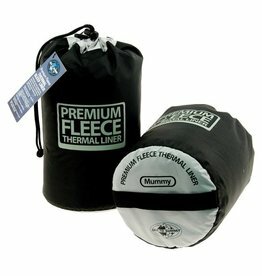 Increases sleeping bag performance by up to 25 F (14 C) with super-insulating 110g/m Thermolite® fabric. Thermolite® is a hollow core fiber that provides extraordinary warmth for its weight and remains extremely breathable. Insect Shield® treated liner provides built-in invisible insect protection. 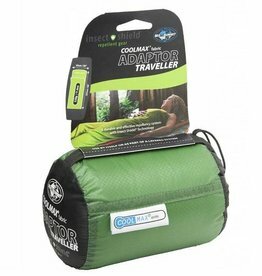 Now we offer the Coolmax® Adaptor liner treated with Insect Shield® in our popular "Traveller" shape with pillow insert. 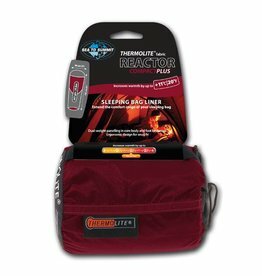 The Thermolite® Reactor Compact Plus increases sleeping bag performance by up to 11°C with its dual weight Thermolite® fabric. 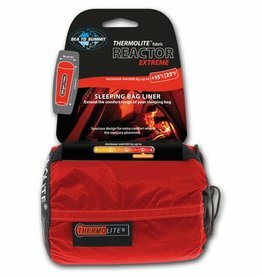 Add warmth to your sleeping bag with this lightweight Sea to Summit Fleece Liner. It comes packaged in its own handy Nylon mesh stuff sack.